This recipe came about because my friend Albert asked me to bring some olive oil and garlic basting sauce for grilled shrimp and Nina, my neighbor gave me a huge bunch of rosemary. The basting sauce? I forgot to bring it to the beach for the shrimp. I don’t like ingredients going to waste so I ended up practicing for making porchetta with beef! Yay Beefchetta! 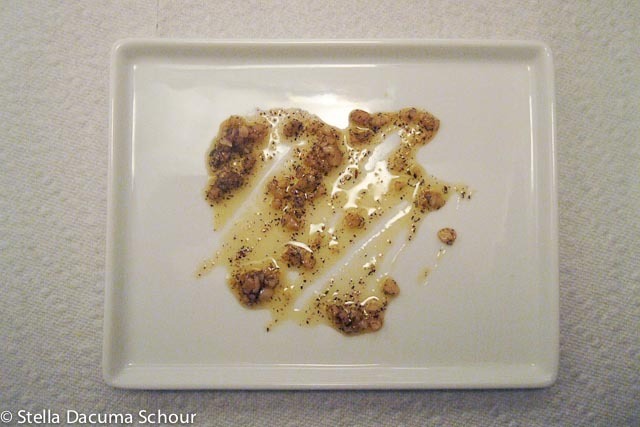 Garlic Basting Sauce (used here as a marinade instead) – Measurements are approximate. 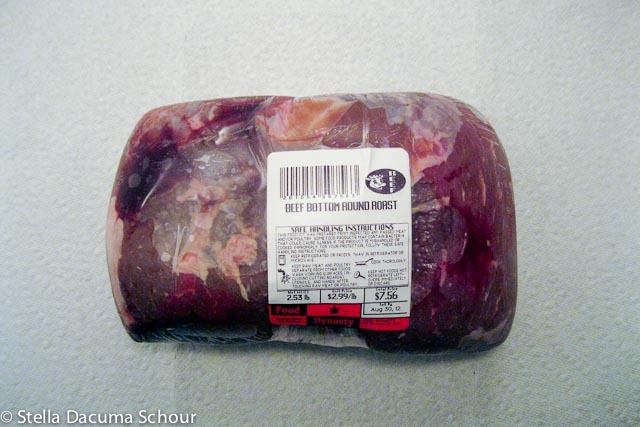 Beef, whatever it is that the label says. I don’t know a lot about beef cuts and I buy things according to price. This one is a winner at $7.56! 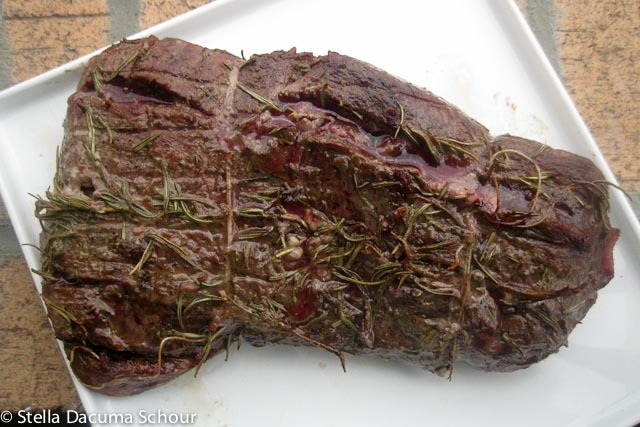 Cut deep slits on your piece of beef and fill the slits with the basting sauce/marinade. 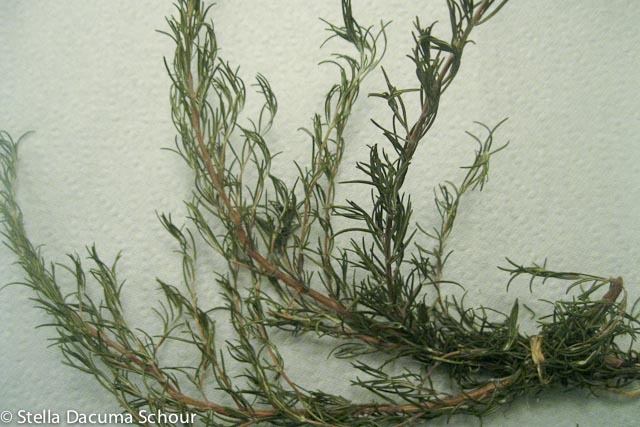 Fill each slit with rosemary stems. 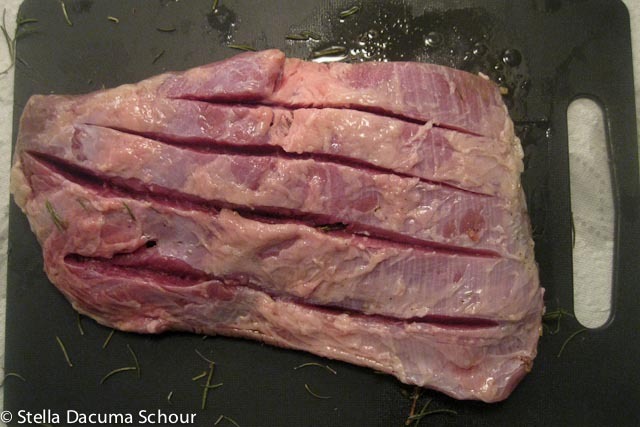 Flip the beef over and cut shallow slits – just make sure you dont cut it in half. I chose to not trim the fat off because it keeps the beef moist. I cook with fat on because it’s tastes GOOD. Stuff the slits with basting sauce/marinade and stuff with rosemary. Wrap it tightly with plastic wrap and let it sit in your refrigerator overnight. This baby sat in my fridge for a week. 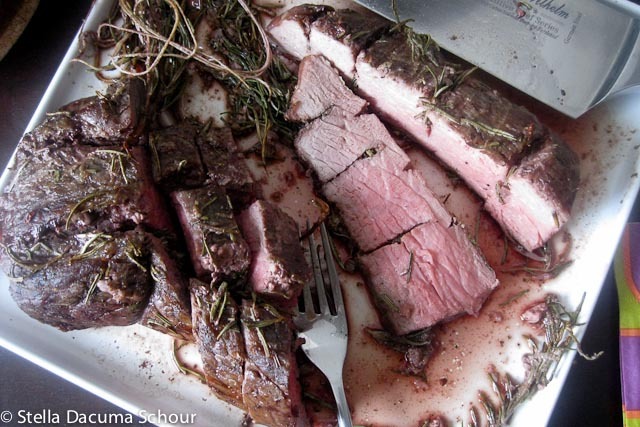 ALWAYS turn your meat around if marinating this way to ensure proper distribution of flavor. 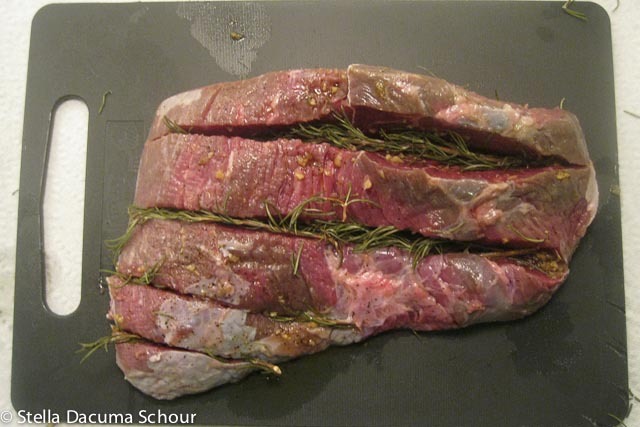 Before unrwapping to cook the beef, tie the meat tightly. 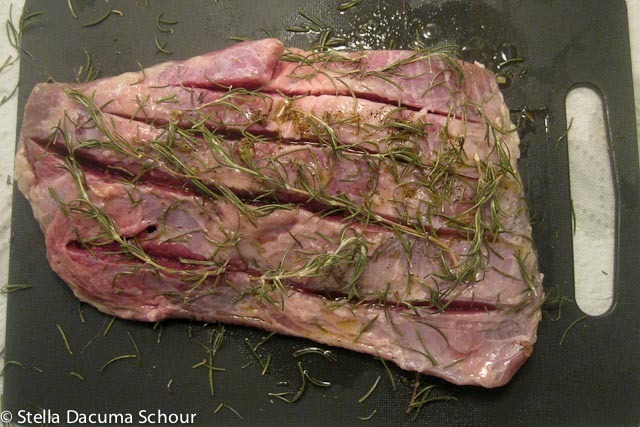 This lets you “form it again as a whole” and roasts the meat without dehydration. 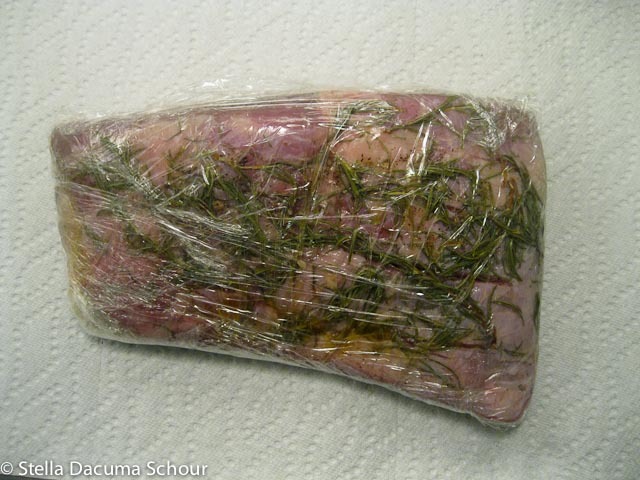 Place this on your pan/roasting rack then snip away the plastic wrap. Preheat Turbo Broiler/Turbo Oven at 350F. Cook one side for 15-20 minutes, checking on the color of the skin. Flip it, then cook for another 5-10 mins. If you want it a bit rarer, just reduce the time. The beef will keep cooking as it cools. I don’t own a meat thermometer and I don’t check doneness temperatures. Bake, uncovered, at 425° for 30-60 minutes or until meat reaches desired doneness (for medium-rare, a meat thermometer should read 145°; medium, 160°; well-done, 170°). This cooking method is from Taste of Home. DISCLAIMER: I DID NOT TEST THIS COOKING METHOD. It looks like it was tied? 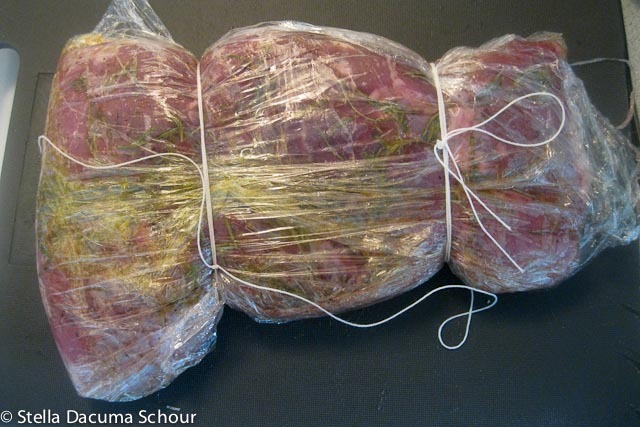 Yes, I tied it otherwise the beef will be splayed out when roasting. *must remember to add that to instructions* thanks!